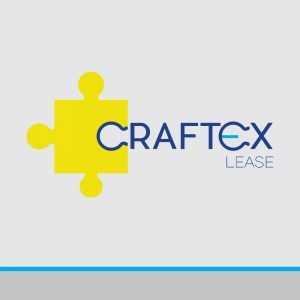 Craftex Lease offers bespoke finance options, tailored to your requirements. Perfect for larger contract starts, this is a great way to spread the cost of new equipment. 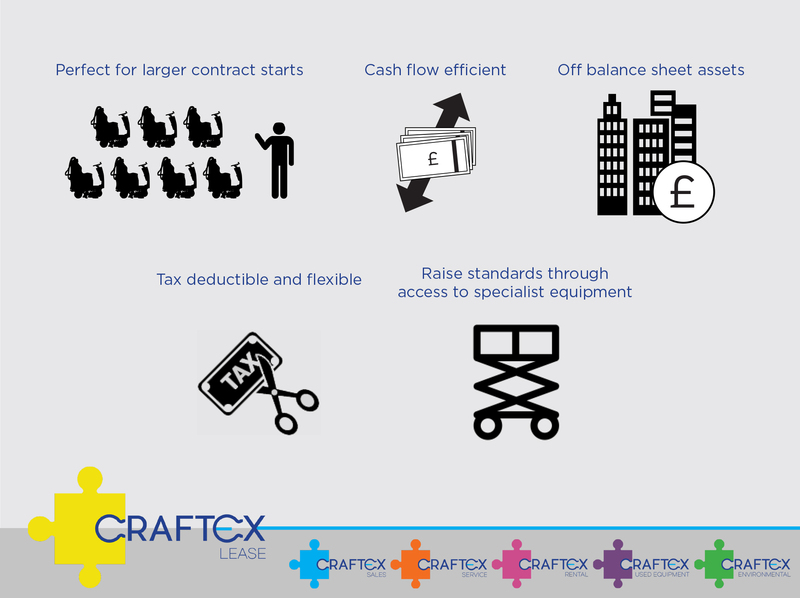 Fixed payments make budgeting simpler and there is no large outlay of capital. Enjoy all the usage benefits without the ownership risks, and avoid owning obsolete equipment at the end of its life! 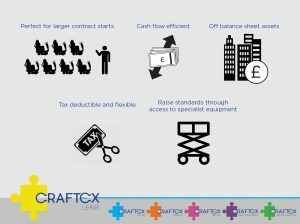 Leasing is a tax efficient way to finance new investment whilst securities still remain available for other financing projects. Leasing also gives the option to raise standards through access to specialist equipment as and when required.